Make sure you try Hawaiian food at one of Honolulu's plate-lunch eateries. When you think of the Hawaiian Islands, its white sand beaches, rolling ocean waves and swaying palms overhead, might be the first things that come to mind. No doubt Hawaii is a tropical paradise, but the Islands are also a serious shopping destination. 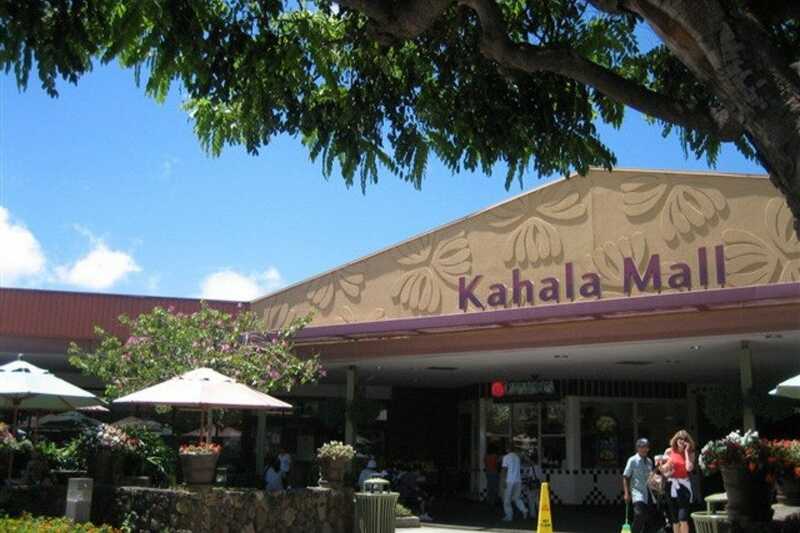 If a little retail therapy is on your vacation to-do list, Oahu’s diverse shopping centers have you covered. There’s something for everyone and every budget, whether you’re looking to splurge on luxury goods, need locally made souvenirs for family and friends back home or you’re a bargain shopper on the hunt. Honolulu is home to Ala Moana Center, the world’s largest outdoor mall. It got even bigger this year, with the opening of its Ewa wing with 37 new retail stores and restaurants, including Hawaii’s first Bloomingdale’s department store. Kahala Mall, Ward Village Shops and Haleiwa Store Lots on the North Shore boast an array of small, local boutiques with unique items. For discounts on name brands, visit the Waikele Premium Outlets. And for true budget shoppers, there’s the thrice weekly swap meet at Aloha Stadium. Oahu, like much of the rest of the Hawaii Islands, have passed plastic bag bans, which means that shops provide thicker recyclable plastic bags, sometimes for a cost, paper bags or encourage shoppers to use their own reusable bags. Don’t worry, these bags are easy to find, many are low cost, and can even make a great souvenir with their local patterns. 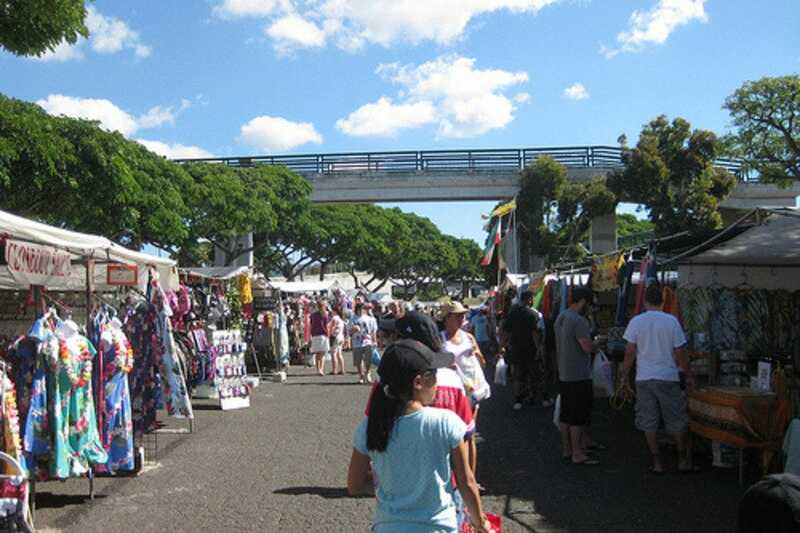 If you are true bargain hunter, then you will want to visit Aloha Stadium for its swap meet. The stadium market, held three days a week, is an established institution on Oahu. Admission to the swap meet is just $1 and parking is free. Inside, you'll find all sorts of items, from handmade crafts, locally made foods and drinks, produce to discount clothing, shoes, accessories and trinkets. The swap meet is a great place to get souvenirs for your family and friends back home. And if you've bought too much? 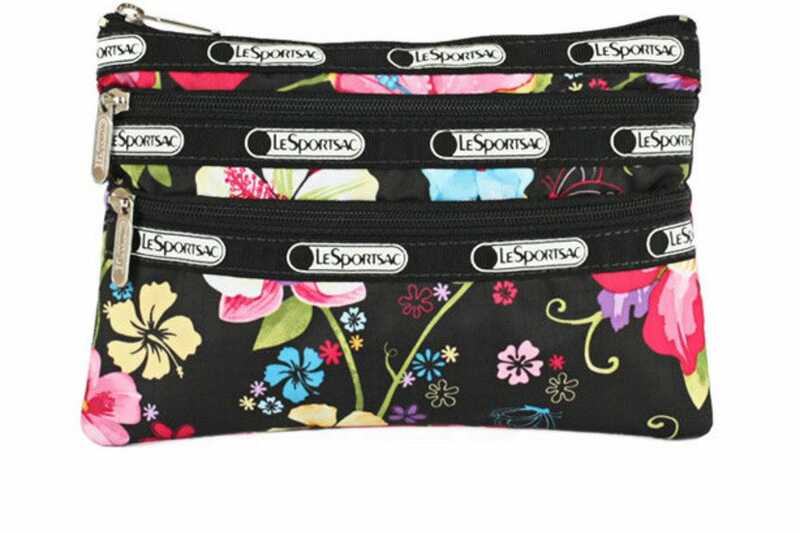 You can even buy discount suitcases in which to stow your new goods. Oahu's best shopping draws aren't just in Honolulu or Waikiki. Don't miss Pearlridge, located in Aiea in central Oahu. 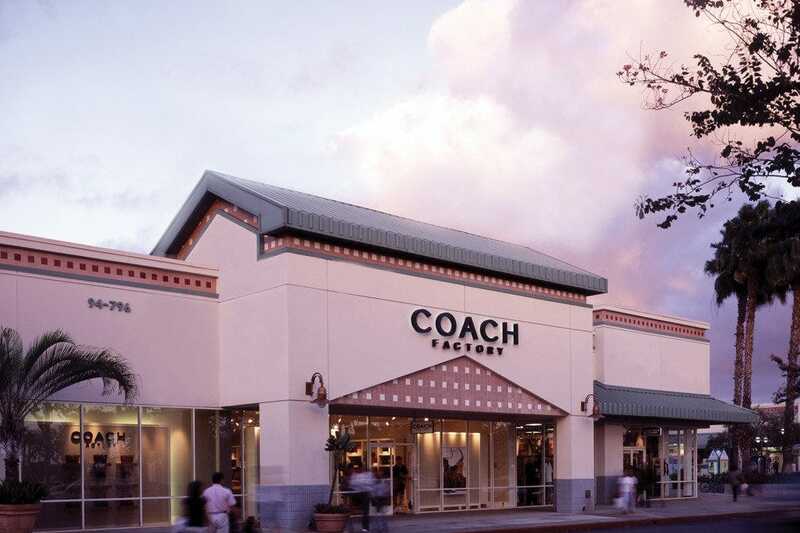 It's the largest enclosed mall on Oʻahu with more than 170 stores and eateries and is anchored by Macy's, Sears, Bed, Bath & Beyond and Toys 'R' Us. 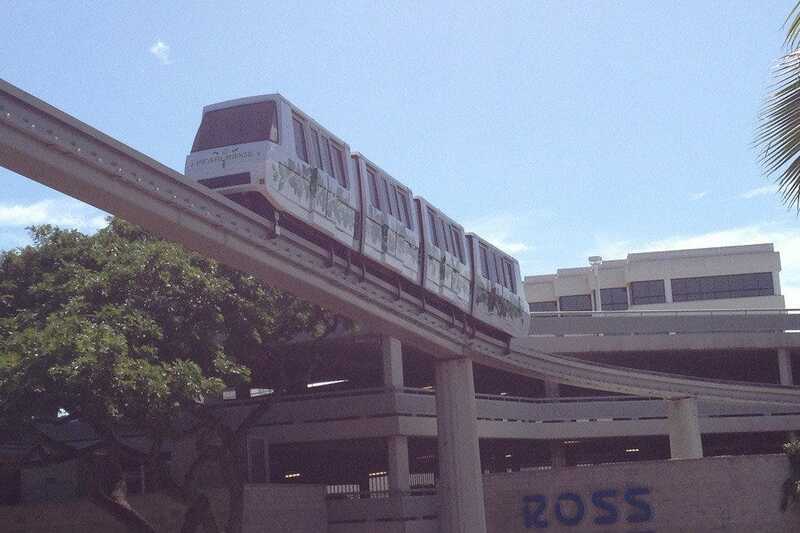 This mall is split into two sides--Pearlridge Uptown and Pearlridge Downtown--connected by an elevated monorail, which you can take for $1 each way. Each side of the mall has its own food court and features local and chain stores. There's also a 16-screen movie theater. If you need to refuel after a long day of shopping, visit Anna Millers, a comfort food diner known for its fruit pies. You spent a lot of money just getting to Hawaii. If you're looking for quality goods without the high price tag, then visit Waikele Premium Outlets on Oahu's west side. This outlet mall boasts 54 luxury brand stores. Here, shoppers can get great deals on brands such as Coach, Bebe, Barneys New York, BCBG Max Azria, DKNY, Micheal Kors, Tommy Bahama, Kate Spade and more. There is even a Saks Fifth Avenue selling luxury brand clothing and accessories at a fraction of the retail price. Small eateries at the outlet include coffee and ice cream shops and Thai, Chinese and sushi joints. Haleiwa received a major facelift with the unveiling of its 27,000-square-foot open-air retail center that opened in mid-2015. Modeled to look like the town's old plantation-style shops, Haleiwa Store Lots features more than 16 shops, including Whaler's General Store, Haleiwa Fruit Stand, Clark Little Gallery, Global Creations, Island Vintage Coffee, Kahala Sportswear, Mahina, T&C Surf, Teddy's Bigger Burgers and more. Haleiwa favorite, and perhaps the center's anchor tenant is Matsumoto Shave Ice, a second-generation business which has been operating in the North Shore town since 1951. 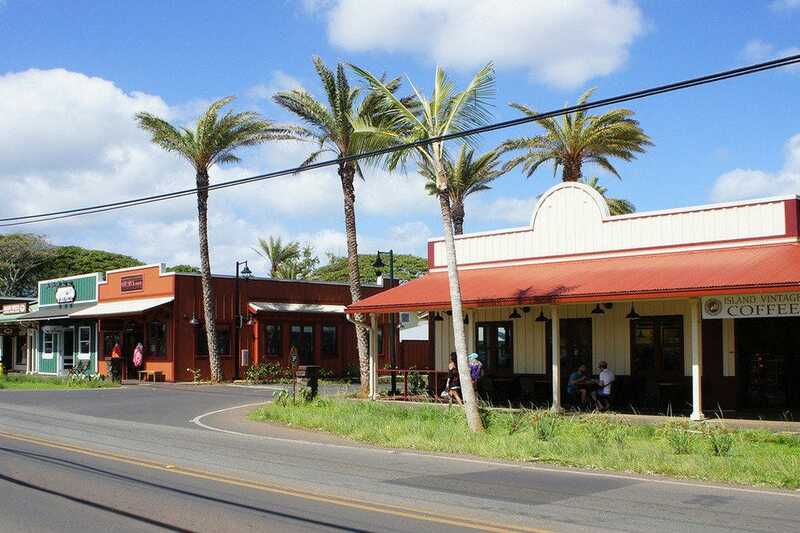 With Haleiwa Store Lots, now you have even more reasons to visit the beautiful North Shore. 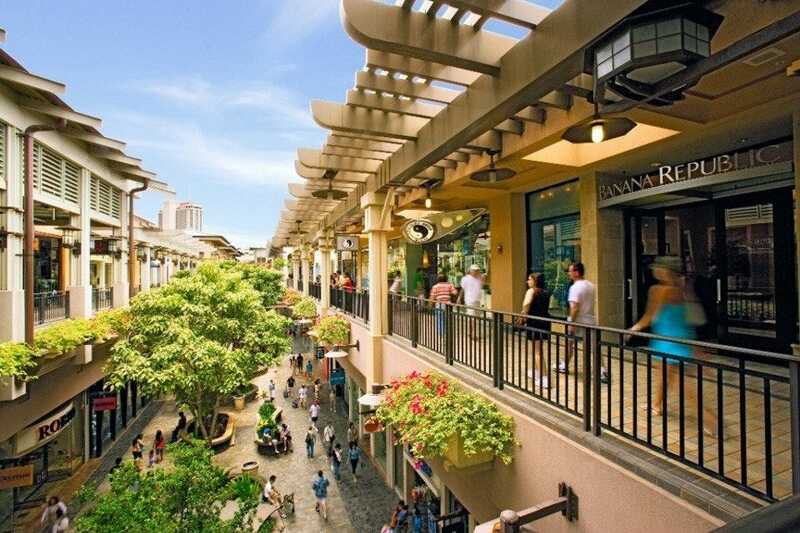 This large shopping center, only topped by Ala Moana Center, boasts more than 110 shops, boutiques and restaurants. In the open air center, there's everything from luxury brands such as Fendi, Hermes and Valentino, to local boutiques including Fighting Eel, Crazy Shirts and Island Soap and Candle Works. If you're hungry, don't miss Il Lupino Trattoria & Wine Bar or Doraku Sushi. The Royal Hawaiian Center is just across from the iconic Waikiki Beach, which means its within easy walking distance from most Waikiki hotels and other popular nearby attractions. Even better, Royal Hawaiian Center offers free, daily entertainment, including hula, live Hawaiian music and cultural demonstrations and lessons. For a unique shopping experience, visit the T Galleria Hawaii on Royal Hawaiian Avenue. It's high fashion shopping with a twist--this duty, or tax free shop, is in the heart of Waikiki. The mall boasts fine women's and men's accessories, including shoes and watches from brands such as Burberry, Marc Jacobs, Prada, Salvatore Ferragamo, Tag Heuer, Tumi and others. If you're not in the mood to try anything on, T Galleria Hawaii also has a big selection of fine wines and spirits, as well as fragrance, for her and him, skincare and makeup. 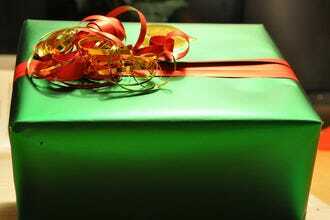 It will be hard to leave empty handed. Inside the expansive Hilton Hawaiian Village is the equally impressive Hilton Hawaiian Village Shops. 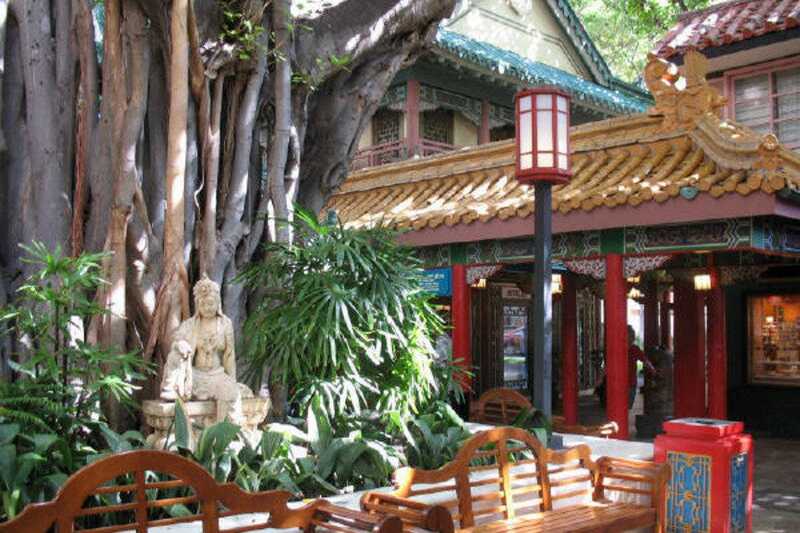 There are more than 90 speciality boutiques and stores tucked within the Waikiki resort, not to mention its 20 restaurants and bars. The village shops are located in seven different venues and there's something for everyone. In the Kalia Tower, you'll find handcrafted ukulele at the Aloha Ukulele and aloha wear at Maui Clothing. Splurge on some new baubles at a boutique jewelry store in the Tapa Concourse. The Alii Tower features Moana Quilts showcasing beautiful Hawaiian quilts, as well as handcrafted gifts. If you love Hawaii Five-O, visit Hawaii Five-0 Apparel in the Diamond Head Tower for official merchandise. 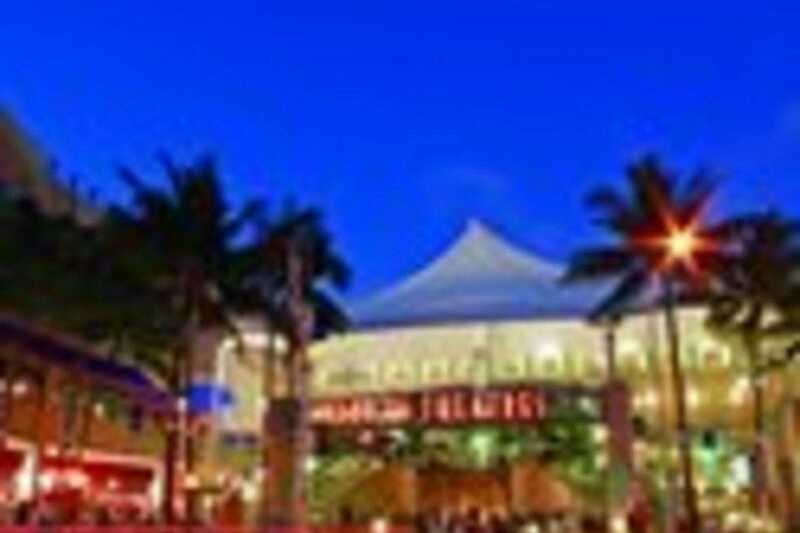 This sprawling shopping complex, rebranded collectively as the Ward Village Shops is located across Ala Moana Park and consists of four separate venues. Don't worry, they are all within walking distance from each other. The Ward Centre and the Ward Gateway Center has great restaurants, from REAL a Gastropub, known for its huge selection of craft beers, local cuisine at Ryan's Grill and fish tacos and live music at Wahoo's Fish Taco. Ward Gateway Center also has a state-of-the-art theater. Ward Warehouse is known for its boutiques filled with locally made art, books, jewelry and trendy clothing. Even better, there's a great farmers market here each Saturday. 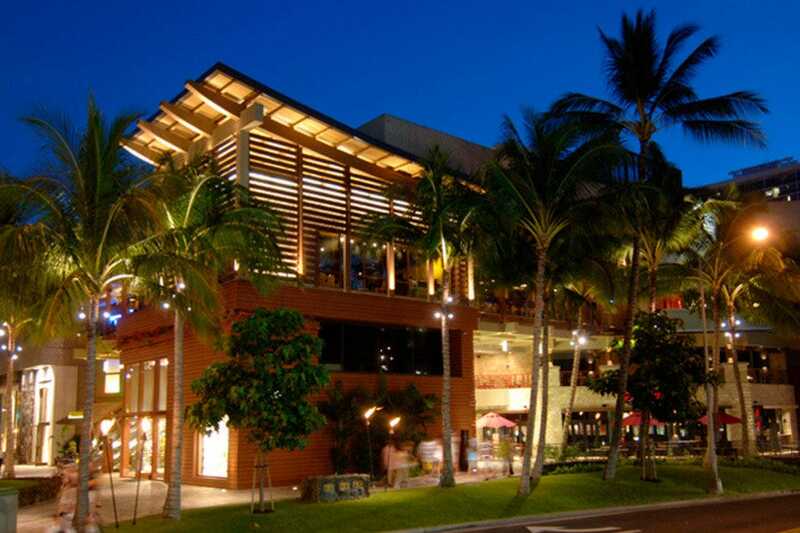 The Ward Village Shops is the newest of the four and features Nordstrom Rack, TJ Maxx and Pier 1 Imports. 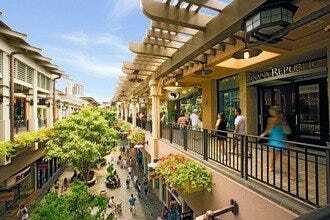 Out of the hustle and bustle of downtown and away from the Waikiki crowds, Kahala Mall in east Honolulu is known for its chic, upscale boutiques. 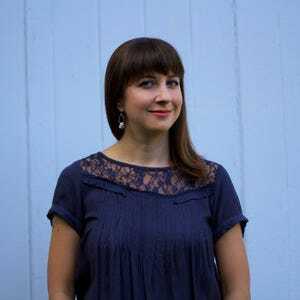 In between the mall's anchor tenants of Macy's, Whole Foods Market and Longs Drugs are boutiques specializing in women's, men's and children's apparel. 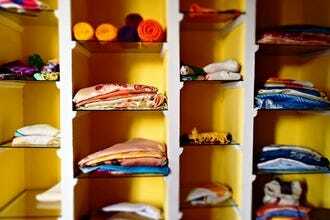 There are even stores selling nothing but slippers, aka flip flops, stationary, candy and organizers for the home. Kahala Mall also has an eight-screen movie theater, known for its arthouse and indie screenings. And if you're hungry, there's Kuru Kuru Sushi, The Counter Custom Built Burgers California Pizza Kitchen, Chili's and more. You can spend all day at Ala Moana Center. After all, with nearly 300 stores, it is the world's largest outdoor mall. In fall 2015, the Honolulu mall got even larger with the opening of its Ewa wing with 37 new retail stores and restaurants, including Hawaii's first Bloomingdale's department store. Other anchor tenants include Neiman Marcus, Macy's, Nordstrom and Shirokiya. There are several high fashion stores such as Chanel, Miu Miu, Ralph Lauren, Versace, Armani, Tori Richard and many more, as well as local boutiques. After you've worked up an appetite from all that shopping, sit down for a bite to eat at one of the mall's 70 eateries, such as the new Magnolia Bakery Cafe or the Ala Moana mainstay, the Mai Tai bar with live music and a great happy hour.